HipRecallAttorney.com was created to obtain qualified leads for a nationally recognized personal injury law firm seeking to assist victims of the DePuy ASR Hip Recall. This Mass Tort sprang into life the day the global recall for the medical device was announced. Working within a tight deadline, the website was launched within 48 hours in conjunction with an aggressive SEO and PPC marketing campaign. LMA effectively led the charge for online client acquisition that transitioned into hundreds of valuable cases for our esteemed client. One of the main challenges associated with mass torts is getting to market before the competition does. Getting to the online market fast is essential, but also being able to present a law firm in the best possible manner is crucial to produce high click through and conversion rates. Finally, creating and integrating compelling content was a critical issue that LMA faced while developing HipRecallAttorney.com. Having relevant, well written, and newsworthy content for potential clients to read helped the site stay one step ahead of the competition in terms of conversions, SEO, and client acquisition. The first step was to create the site in a speedy manner without sacrificing the quality of the site design or coding syntax. LMA accomplished this feat by coordinating the team’s vast resources of professional graphic designers and web programmers. The result was an elegant, informative, and easy to use website, programmed in WordPress for easy content loading and distribution (not to mention the Search Engine Optimization benefits). LMA identified the critical importance that well researched and compelling content would play in the campaign’s success. While the site was being developed, the entire writing team simultaneously was tasked with creating customized content pertaining to the hip replacement recall. Through LMA’s network of product liability researchers and legal experts, the team began blogging and utilizing dozens of crucial web properties to disseminate pertinent information and legal advice directly to affected individuals across the world. The process of integrating superior research into the website forged a strong connection with victims of the hip recall searching for answers to their health concerns and legal questions. 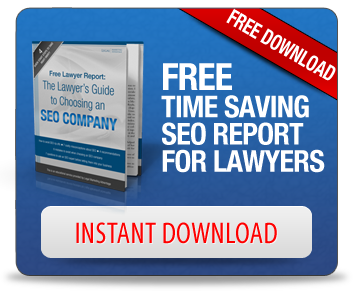 The launch of the HipRecallAttorney.com coincided with the distribution of multiple press releases, social media marketing, pay per click advertising, and other advanced search engine marketing techniques that brought a steady flow of targeted traffic directly to the website. A response so big that it warranted the personal injury law firm to run the hip recall campaign into multiple types of media. Now in conjunction with the website, the personal injury law firm’s hip recall campaign resulted in HUNDREDS of signed clients for the firm in a relatively short period of time.